Last week, the LA City Council’s Transportation Committee debated whether to patch potholes or fund Vision Zero projects, ultimately deciding in favor of safety over street repair. Today, we got a painful reminder that sometimes it’s the same thing. Word broke on Facebook today that Edgar Lim passed away last week, nearly three weeks after he suffered catastrophic injuries hitting a pothole. According to a post by Freddie Arellano, Lim died at 8:35 pm last Wednesday, after being injured while riding on March 11th. A post by Steven W Hansen indicates Lim was participating in the weekly 8 am Montrose Ride when he hit what Hansen describes as a huge, unavoidable pothole near 1510 Huntington Dr in Alhambra during the first few miles of the ride. And yes, he was wearing a helmet. Hansen reports the pothole had been patched a week later, too late to save the very popular rider. 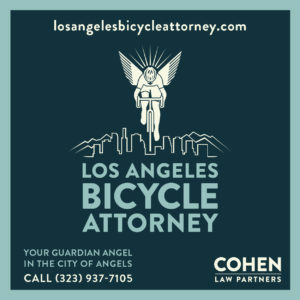 This is the 11th bicycling fatality in Southern California this year, and the eighth in Los Angeles County. Update: I’ve received second-hand reports from people who were on the March 11th ride that Lim may have lost control to avoid hitting the pothole, striking his head on the curb. However, even if that is the case, the pothole would have been the proximate cause of the crash, since he would not have swerved if it hadn’t been there. As Albert Lakes points out below, though, we don’t have all the facts at this point; all we can do is consider the limited information that is available and draw our own conclusions. My deepest sympathy and prayers Edgar Lim and all his family and loved ones. Thanks to Lynn Ingram for the heads-up. We offer up our prayers for the family and friends of Mr. Lim. On my commute to DTLA from Eagle Rock area, there are a few pot holes in the biking zone that seriously freak me out. I’m an experienced cyclist, so most of these things don’t bother me too much. But When you have a gap where your front wheel has no chance of emerging out the other side – except via violent endo – yikes. RIP Mr. Lim. I am saddened to hear of this tragic event. First, my condolences to Edgar Lim’s family. May he rest in peace. Second, it’s disappointing that your post addresses infrastructure issues before reporting the fatality. Then you report of the fatality only contains reports which have not been substantiated. In fact, a few witnesses who were closer to Mr. Lim than the riders you quote have said that the pothole was never struck and the accident was caused by a sudden maneuver and loss of control. In any case, as a regular Montrose rider, I was shocked and saddened by the accident and at this point blame is secondary (whether it’s the City, the rider or the large chaotic group ride) until the facts emerge. Thank you for your comment. Unfortunately, there were no sources available for this story last night other than what was posted on Facebook, so I was limited to what they said. I have heard that Lim may have swerved to avoid the pothole, and am updating the story to reflect that. However, that does not change anything; the crash would still have been caused by the pothole, whether he hit or swerved to avoid it. As for your first complaint, I meant no disrespect to anyone by framing the story in this manner. My point was to show that abstract government decisions have real world consequences. My purpose in reporting stories like this is not just to memorialize the victims, as important as that is, but to do what we can to ensure it doesn’t happen to anyone else. I have no way of knowing how long this pothole had been there. But I do know that if it had been patched before this crash, rather than after, Edgar Lim would still be with us, and we wouldn’t be having this discussion. We can’t do anything to change the past, but we can make sure a needless tragedy like this doesn’t happen again. This is Carlos Morales the Owner of Stans Bike Shop and Founder of the Eastside Bike Club. I heard of this incident happening about an hour after it happened as three Cyclists who were on that Ride that morning seen the aftermath as they approached the incident. They came into STANS BIKE SHOP and were talking about what just happened that morning and how serious this crash was. They did say that it was a Solo Crash in an evasive move to avoid hitting a large Pothole that was so big it could have easily damaged a car. Ted (BikingInLA) and many other of us Cycling Advocates refer to this type of incident as Infrastructure Failure. We bring this up and make a point of it because we have seen similar unfortunate incidents happen again and again – Day After Day, Week in and Week out, Month after Month and Yes -YEAR AFTER YEAR! We report these incidents such as this one in hopes to bring attention to City Government Officials to take care of the decaying streets. 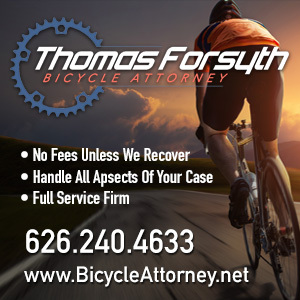 Although the details of this incident are NOT readily available, We never report it in a way to show disrespect to the fallen Cyclists or their families. 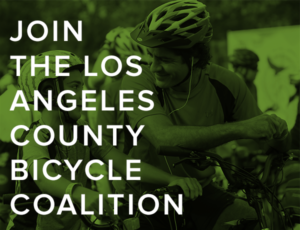 In the matter of fact – Cycling Advocates such as Ted Rogers, Don Ward, Josef Bray-Ali, Jessie Ramon, Rory Montenegro, Danny Gamboa, myself and many others in the City go out of our way to help document such incidents in LA County. We have assisted and guided several surviving families deal with this and their recourse options-After they find out that perhaps it has happened before at the same location or that City Officials knew of the conditions and still refrained from correcting or repairing a Pothole for example in this case. We plan on posting up a GHOST BIKE for Edgar’s Lim on Friday evening after 8pm. If anyone of his friends or family members read this or members of the Montrose Ride want to join the Eastside Bike Club and Ghost Bikes place this Memorial for Edgar –let us know. Carlos, I will take a photo of the since repaired pothole and I can assure you it wasn’t so large as to be life-threatening. In fact, many riders roll through potholes twice as big on City of Los Angeles roads which are in truly disturbing states of neglect. You may be aware of some of these streets as, if I recall correctly, you’re an El Sereno resident. Was the Pothole Deep if not large? Steve, he didn’t collide with the pothole. Cyclists should have called this pothole out! Get it together people. 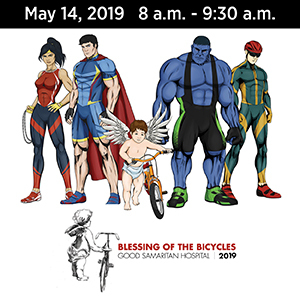 Get organized, aware and training on bike safety.Bike safety courses from the League of American Bicyclists address these types of issues and Cycling Savvy addresses more about riding in traffic.